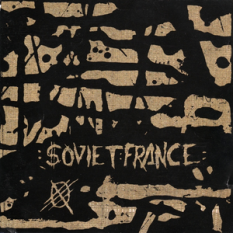 The British avant-garde group later know as Soviet France, :zoviet:france:, :zoviet-france: and :zoviet*france: identified themselves as :$OVIET:FRANCE: for their first two releases in 1982. 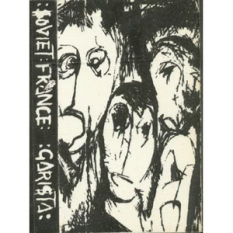 ”Garista” was originally released on cassette only in a stiff fabric/cardboard fold out insert. The untidled second album know as ”hessian” or ”OK Boys”, among other titles given to it, originally came out on a 45 rpm 12” piece of vinyl packaged in a printed hessian bag. According to http://www.the-edge.ws/zoviet/ both releases had artwork concept and design by Lisa Hale while the label artwork for the second album was by co-founder Ben Ponton. For a long time the project remained largely anonymous and should perhaps still be considered rather obscure. .